One of the primary responsibilities in my current position is the production of our organization’s bi-monthly magazine. We have a small, but dedicated staff that contribute content for each issue, while I am in charge of budgeting space, managing advertising and ultimately layout and design. I also handle editing and occasional writing duties. Ah, such is life at a small non-profit organization! The positive side of it is, the staff gets a good idea of what it takes to put together a publication such as this, and each department works closely to produce what usually amounts to a 28 to 36-page magazine. 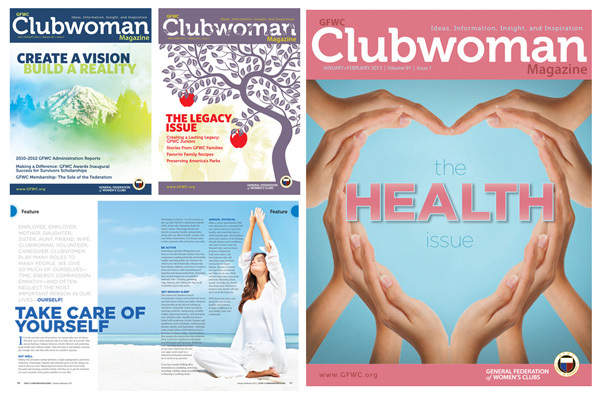 Of course, producing a magazine, even a bi-monthly magazine, takes a lot of time and effort. 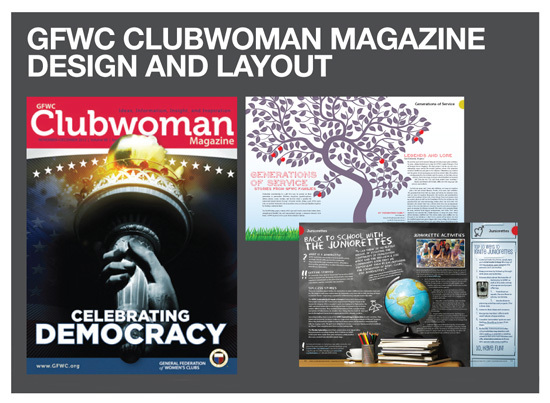 As the sole designer of all things GFWC, I don’t get the luxury of spending a lot of time crafting layouts and ideas. It tends to be pretty down and dirty as I have many other responsibilities in my role as communications director. I do, of course, enjoy the creative aspect of it, and given our tight time frames, I do my best to help produce the best publication we can. I also do have one person on my staff that I get to teach (inflict?) some basic design ideas on that helps alleviate some of my design workload.